Whether you need an intimate, small-scale space for your backyard or a full-scale garden master plan, inspiring outdoor environments require superior planning. Each design starts with a vision of how to transform your unique space into something of which you can be proud. Our degreed landscape architects and certified landscape technicians oversee every project, and our fully turnkey operation creates beautiful landscape design every time. Your Master Plan Landscapes designer is also your contractor. This time-saving convenience, as well as experience and knowledge, is invaluable to achieving the finest results. From hardscape design and build to yard maintenance to outdoor lighting, we'll use a a variety of plantings and materials to form a full aesthetic outdoor composition. The time and care we take ensures a beautiful landscape and a well-designed, comfortable environment. See a real-life case study. 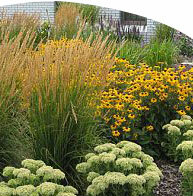 Landscaping services include design, construction, and lawn seed and sod.